Volunteers are the backbone of all Arts for All programs and services. Arts for All is able to provide community service documentation for school service groups, youth groups, and other volunteer organizations. Click the button to fill out application below! Hang out on the dance floor! 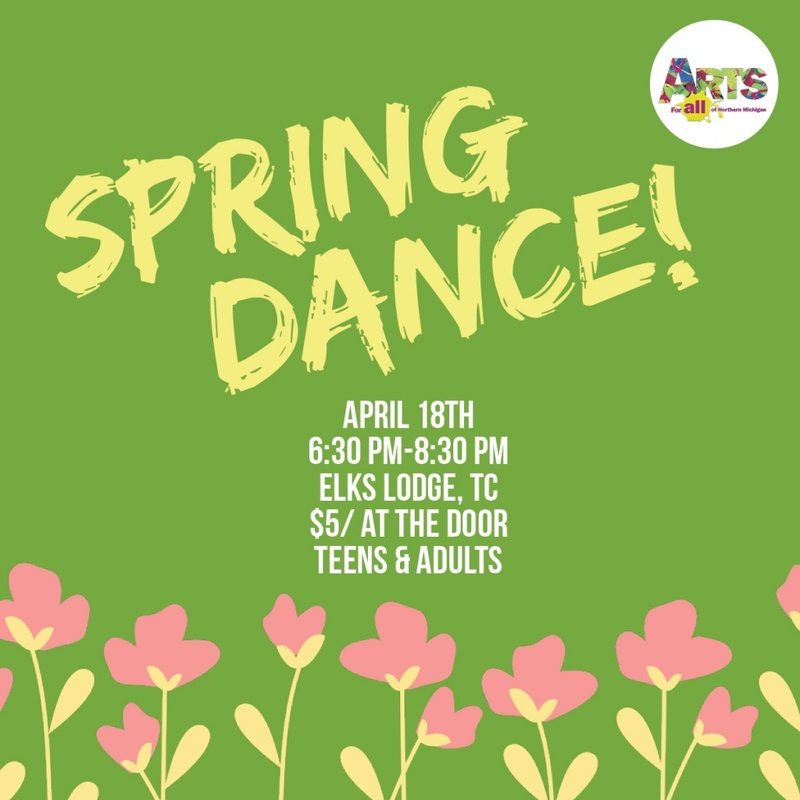 Demonstrate some killer dance moves! Volunteers are always needed for Special Kid’s Day during the National Cherry Festival, July 3rd, 2019, as well as Friday Night Live Events every Friday in August! Assist the artists while instructing workshops in visual art, dance, drama, music or creative movement. Assistants will be required to work hands-on with a variety of special education students/participants, all ages. Volunteer assistants must provide their own transportation. Arts for All art workshops are held in TBAISD classrooms and throughout the community. Assist with Arts for All special events such as Local Community Events, Cherry Festival Special Needs Day, and the annual Spring Celebration Festival Day. Duties may include; workshop assistance, registration, pre-event prep work, set-up and clean-up crew, performers, student assistants, and more as the event requires.